We realize that today̠s college student has many choices when it comes to seeking a higher education. Where to go to school and what to study are major decisions, no matter what stage of life you̠re in. That̠s why we feel it̠s so important to keep our community informed about Texarkana College and everything we have to offer. 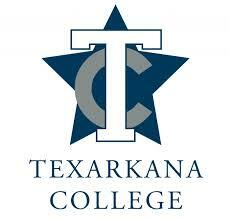 We are committed to helping you make the right decisions for yourself.Texarkana College is a publicly supported, two-year, comprehensive community college that offers educational opportunities in traditional academic studies, occupational/technical programs, and workforce development and community services.Veterans and military families �� welcome to Texarkana College! The Veterans Services Office exists to assist and advise veterans and their families as they navigate the college admissions process, apply for and use educational benefits through the Department of Veterans Affairs, and attend Texarkana College. Whether you are just now transitioning out of military life or are seeking a degree decades after your discharge, we strive to be your advocate and aid on campus.